Anyone who grew up in America in the ‘60s must find the present state of space travel a major disappointment. 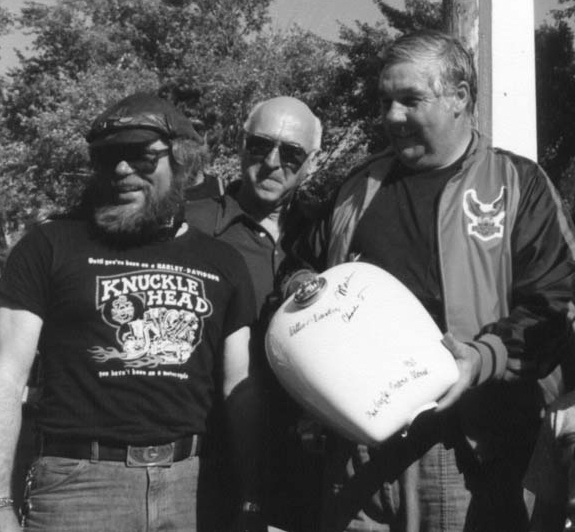 It was the year Harley-Davidson merged with AMF, the cool movie was Easy Rider which portrayed hippies who rode choppers and Neil Armstrong walked/bounced on the moon. Forty years ago the crew of Apollo 11 squeezed together over an eight day period and a half-million mile journey to place a plaque on the moon that said “came in peace for all mankind.” I was a child, but like others of my generation, I fully expected there to have been massive space stations orbiting the earth and colonies on the moon by now. What a rush the space race was. Using German WWII rocket technology, both the Americans and the Russians innovated like mad to launch the first satellite in 1959 (Russia’s Sputnik); to put the first person in orbit (Russia’s Yuri Gagarin in 1961); and finally the first person on the moon (Armstrong in 1969). Clearly lunar bases and spaceships in the solar system was expected by the Twitter-first century, right? In reflecting about the time and place I realized my path is connected. Sort of a Six Degrees of Kevin Bacon thing. First were the years I lived in El Paso, TX and my father worked at the White Sands Missile Range (WSMR). 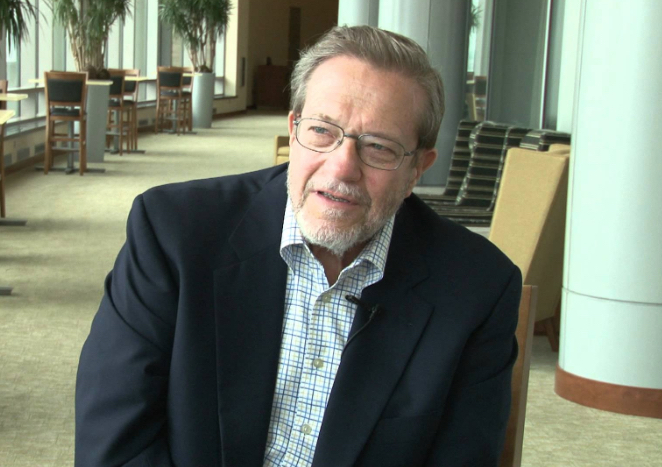 He spent 1968 in Vietnam working with Hawk Missiles, but on his return to Texas they were involved in some Apollo testing. I didn’t fully know or understand the significance at the time. And later like many who graduated from college, I joined the electronic masses at Tektronix. In 1980 Tek sold the Patient Monitor business to pharmaceutical conglomerate Squibb (a.k.a., Vitatek) and I moved into the healthcare arena. Squibb was on a buying frenzy of medical devices and services so it was anticipated to be a good career move. Little did I know what it would be like working with Carl A. Lombardi (CEO) and his not so interesting view of business. The next year Vitatek merged with Spacelabs Medical (originally out of Chatsworth, CA). Spacelabs was co-founded by Ben Ettelson and James A. Reeves in 1958 for the express purpose of working with NASA and the U.S. Air Force on systems to monitor the vital signs of astronauts in space. The company manufactured and delivered prototypes of miniaturized signal conditioners which measured astronauts’ temperature, respiration, and cardiac activity. In July 1969, just days after Neil Armstrong become the first man to walk on the Moon during the Apollo 11 mission , NASA’s Manned Spacecraft Center (now Johnson Space Center ) honored Spacelabs Medical with a certificate of appreciation for its “outstanding” contributions to the Apollo Program—contributions which proved vital for the Nation’s goal of landing men on the Moon and returning them safely to Earth. When I worked at Spacelabs we adapted the technology it originally developed for NASA for the first bedside arrhythmia-monitoring system which allowed physicians to view real-time arrhythmia data, at the patient’s side, for the first time. Congrats to Armstrong, Aldrin and Collins on your 40th anniversary and historic return to Earth with moon rocks! LEM Photo from a visit to Redstone Arsenal, Huntsville, Alabama. 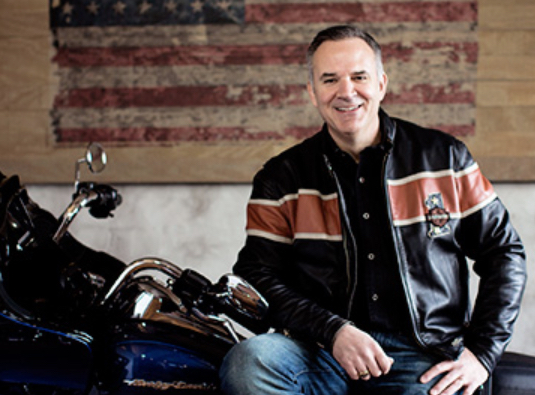 This year marks a couple of interesting historical points on the Harley-Davidson calendar. 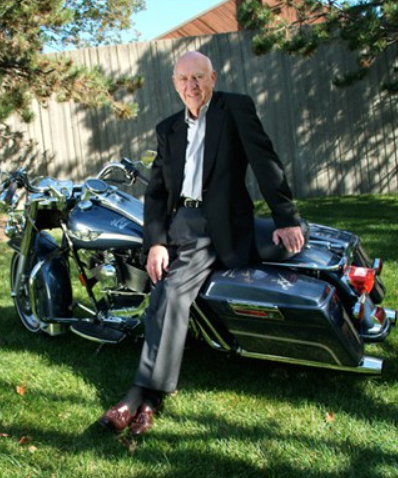 It’s coincidental that 2009 marks the first time a non-motorcycle riding enthusiast (CEO, Keith Wendell) was hired to run the company, and this occurred exactly 40 years after Harley-Davidson merged with American Machine and Foundry Company (AMF). I don’t know if that is ironic or just business karma?! 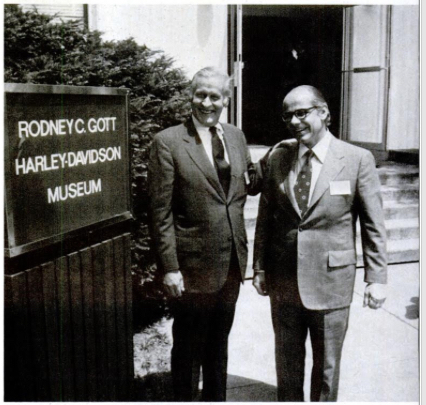 At any rate, back in 1965 Harley-Davidson went public when the two families decided to give up control and put the company’s shares on the market. Four years later, in January 1969 it merged with AMF. 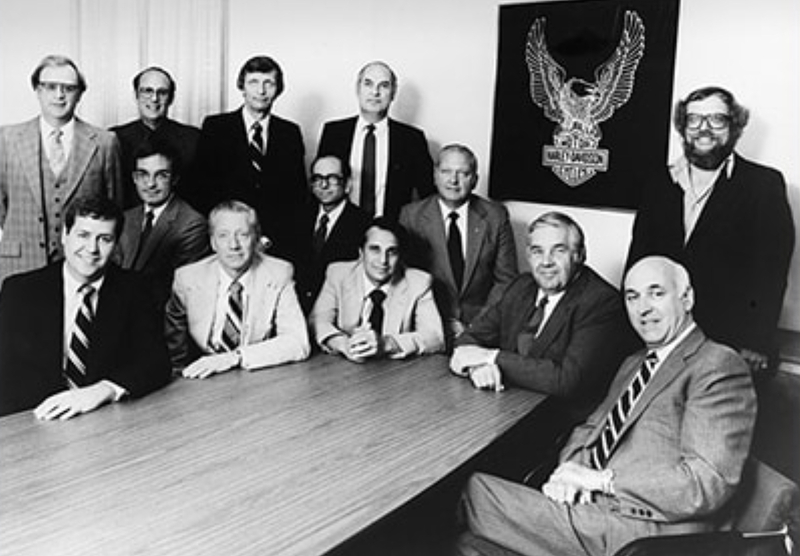 The AMF merger started in 1968 when HD was looking for someone to buy the company. In May of that year Bangor Punta (BP)** stepped in with an offer of $27 per share. The HD board was skeptical of BP’s reputation and tenacity in pursuing acquisitions. They continued to shop the company around. In October they announced that AMF had struck a deal (at $29) and then a bidding war erupted. Finally on December 18, 1968 there was a shareholder’s meeting to vote on the AMF merger at $40 per share which was $9 less than the BP offer. 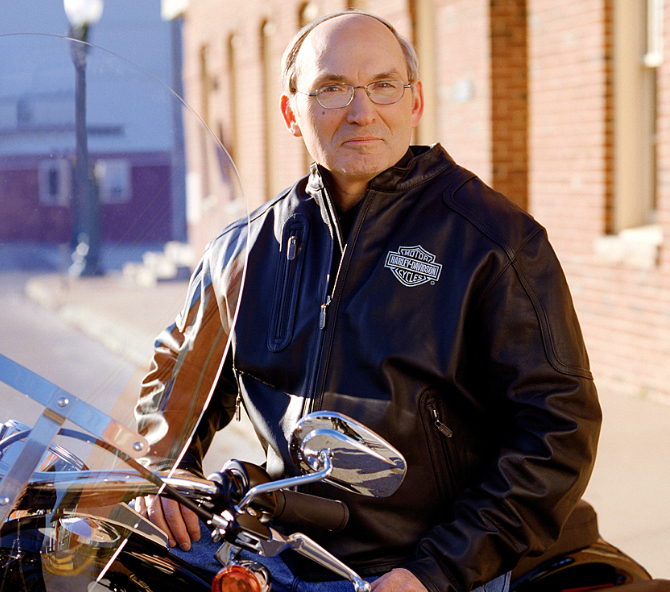 The HD board like AMF’s motorcycle fanboy, Rodney C. Gott, and believed AMF had better alignment. It was approved and in January 1969 the acquisition became final. 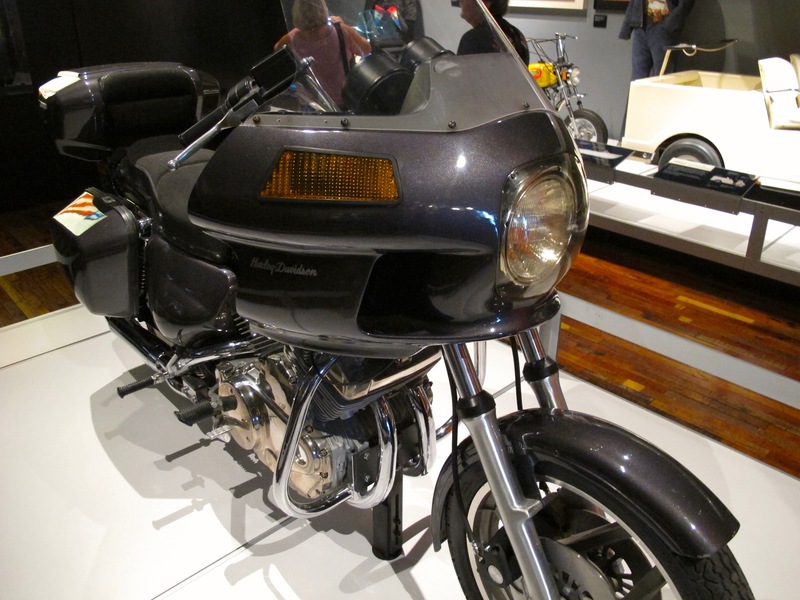 At the time of the AMF merger, Harley-Davidson was producing 14,000 motorcycles per year. 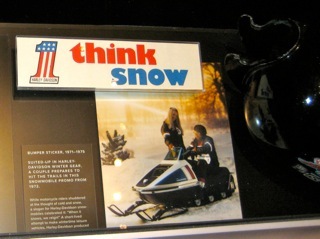 AMF used the merger as a marketing opportunity to slap the Harley logo on many non-motorcycle-related things they produced, such as their golf carts. Management at HD was overrun by AMF personnel and they streamlined production, and slashed the workforce. The tactic resulted in a labor strike and lower quality motorcycles. 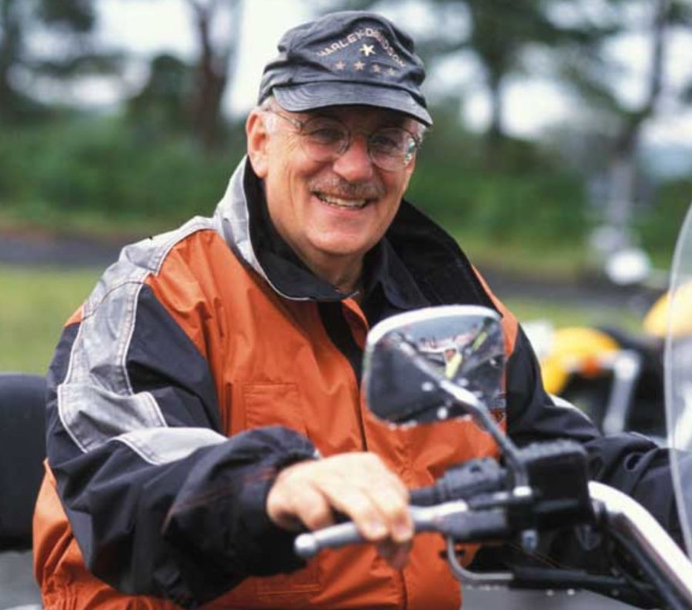 The bikes were expensive and inferior in performance, handling, and quality to Japanese motorcycles. Sales declined, quality plummeted, and the company almost went bankrupt. 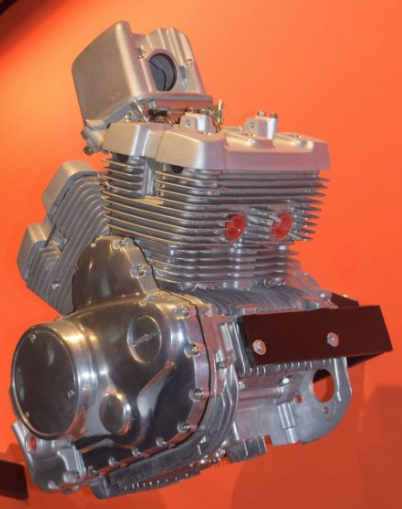 The marriage between motorcycles and one-time tobacco production equipment company lasted but 12 years. 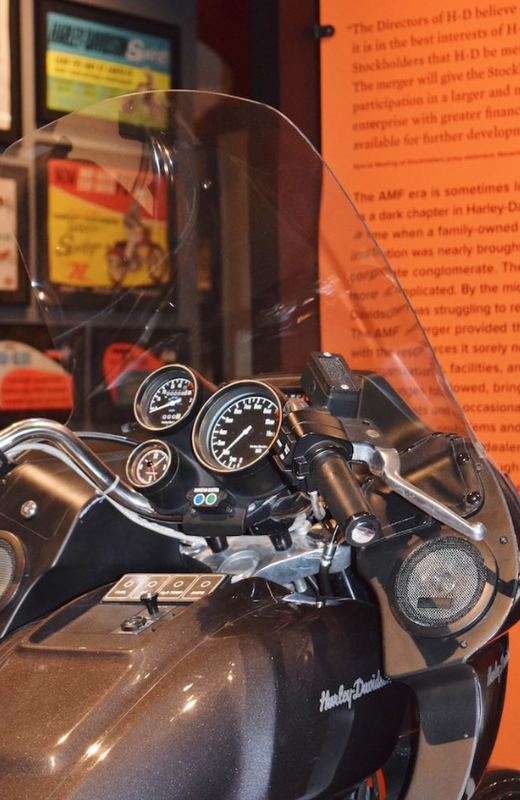 The 1981 recession severely threatened HD’s share of the market for heavyweight bikes and AMF began to lose interest in keeping the struggling business afloat. 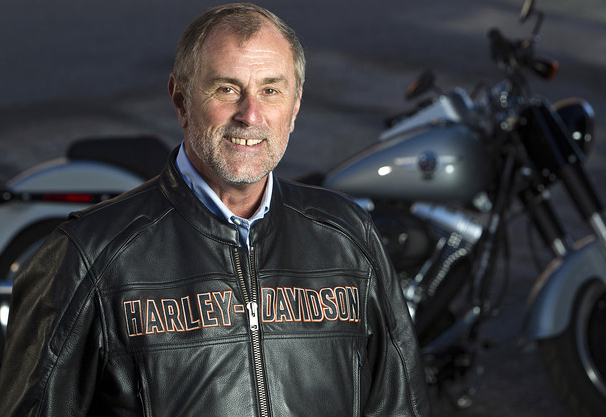 Then Vaughan Beals – who had joined HD in 1975 as VP – and a group of 13 HD exec’s raised $100M and bought the company for $81.5M from AMF on June 16, 1981 and restored the company to an independent status. The marketing phrase “The Eagle Soars Alone” became a rallying cry. In 1986, HD again went public. Given that HD is laying off and previously asked the union to approve wage cuts and reduced benefits for everyone in exchange of factory expansion… it’s easy to draw a parallel toward the AMF days? What do you think? Will HD roll strikes during this economic recession or gutter balls? 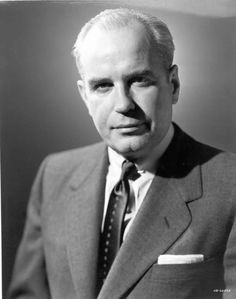 **Bangor Punta Corporation (abbreviated BP and was traded on the NYSE under BNK) was an American conglomerate and Fortune 500 Company from 1964 to 1984. It owned a number of well-known companies primarily in the pleasure craft, firearms and general aviation industries.